Turtle Beach, pioneers and market-leaders of the gaming headset category, today announced a partnership with Activision to develop a new line of exclusively licensed, limited edition Call of Duty®: Modern Warfare® 3 Ear Force headsets, custom-optimized to deliver enhanced experiences for the year’s most anticipated entertainment launch. Among many planned features, these new premium headsets will be distinguished by unique sets of audio presets designed specifically by the audio teams at developers Infinity Ward and Sledgehammer Games in order to provide the ultimate immersion into the cinematic world of Modern Warfare® 3. Ear Force DELTA (EFD) – Call of Duty: Modern Warfare 3-Optimized Programmable Wireless Dolby 7.1 Surround Sound Headset with Bluetooth Chat. The top-of-the-line EFD headset comes packaged in a specially-themed carrying case and is pre-loaded with unique custom Modern Warfare 3 presets and voice prompts. Ear Force Delta is the ultimate Xbox 360 and PS3 weapon for the most avid Modern Warfare 3 players. MSRP: $299.95. 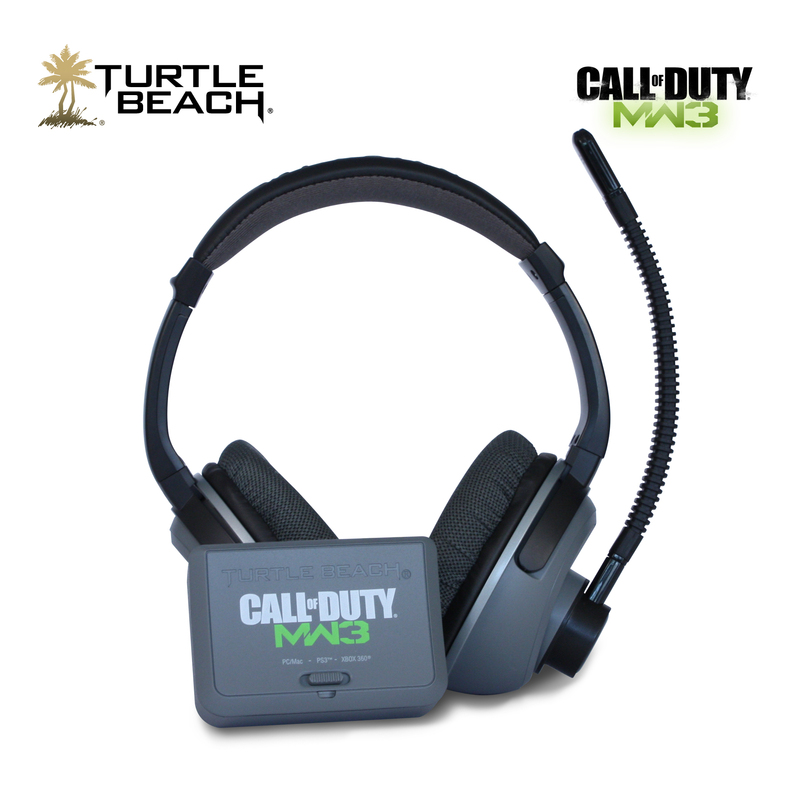 Ear Force BRAVO (EFB) – Call of Duty: Modern Warfare 3 Optimized Programmable Wireless Universal Gaming Headset. Featuring the same custom Modern Warfare 3 presets as the EFD, the EFB provides players with the same optimized experience in a universal headset that’s the perfect Call of Duty® companion on Xbox 360, PS3 and PC. MSRP $179.95. 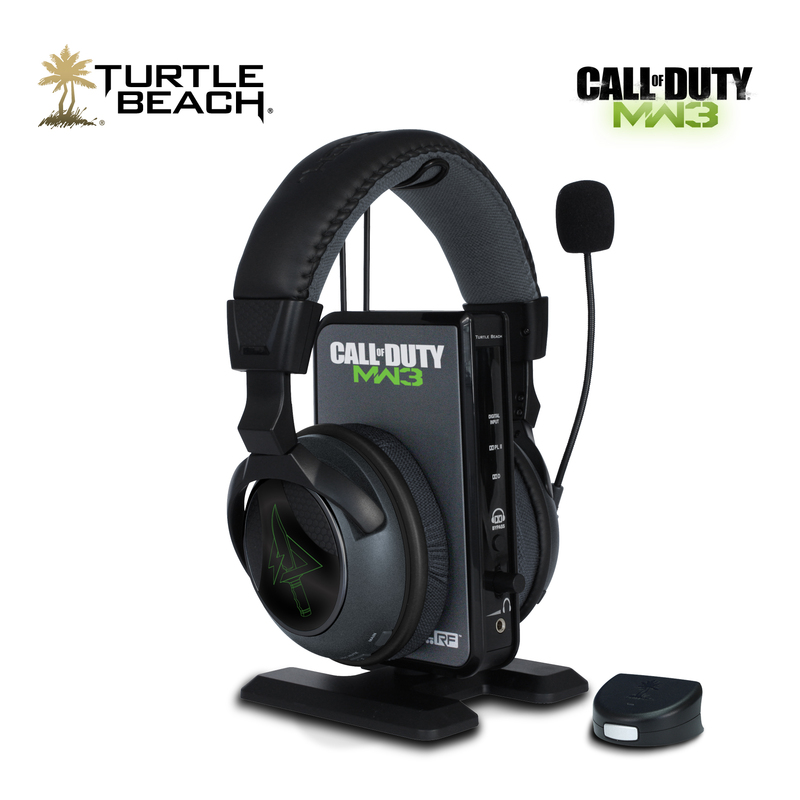 Ear Force CHARLIE (EFC) – Call of Duty: Modern Warfare 3 Optimized Multi-Speaker Surround Sound PC Gaming Headset. With eight amplified, acoustically-angled speakers delivering discrete surround sound, this tournament-grade, Modern Warfare 3 optimized wired headset is the perfect choice for competitive PC gamers. MSRP $129.95. 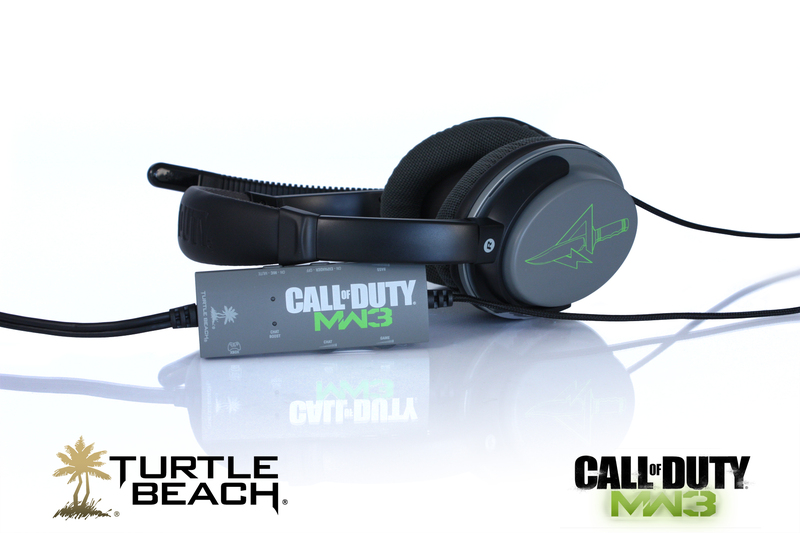 Ear Force FOXTROT (EFF) – Call of Duty: Modern Warfare 3 Optimized Universal Gaming Headset. For Modern Warfare 3 players seeking effortless cross-platform performance, the EFF provides gamers with high-fidelity amplified audio along with several key features to set it apart. MSRP $99.95. Set to strike worldwide on November 8th, Call of Duty: Modern Warfare 3 is the year’s most anticipated release. Published by Activision and in development by Infinity Ward and Sledgehammer games, the title is the newest installment in the record-setting, blockbuster Call of Duty series, which has broken entertainment opening launch records two-years running. Turtle Beach revolutionized game audio with the industry’s first truly customizable headset, the PX5, earlier this year and is the only brand capable of this offering. Gamers interested in learning more about Turtle Beach’s lineup of Call of Duty: Modern Warfare 3 headsets should visit www.turtlebeach.com/MW3 to sign up for updates about special content, additional product details, pre and on-sale info and other special news and alerts. 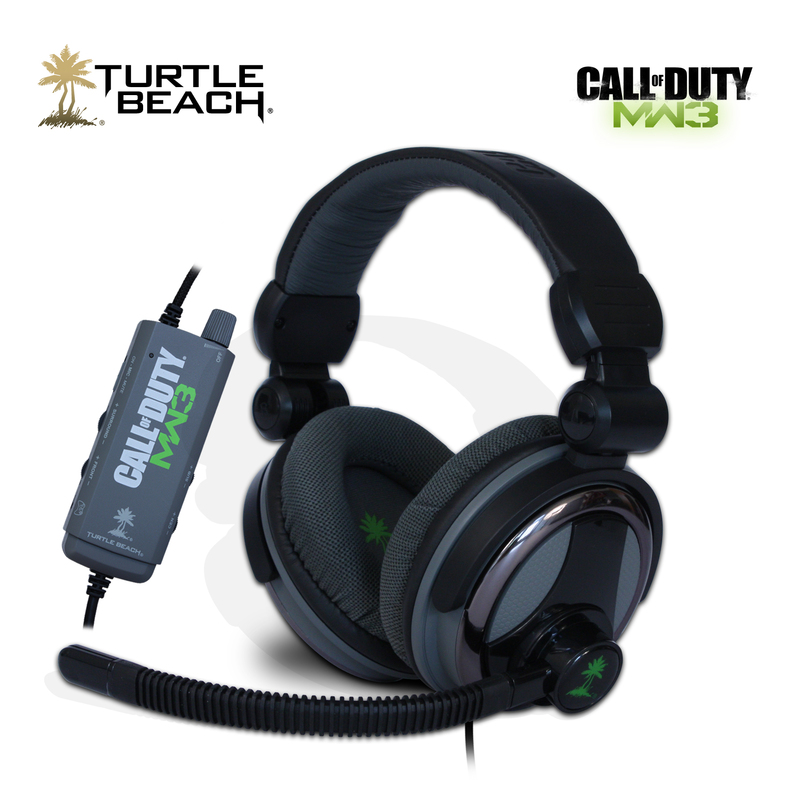 More specific product details of the co-branded product line will emerge in the coming months and the full lineup of Turtle Beach’s Call of Duty: Modern Warfare 3 gaming headsets will ship to major retailers beginning in October, 2011. Turtle Beach (www.turtlebeach.com) designs and markets premium audio peripherals for personal computer and video game platforms, including its acclaimed line of Ear Force gaming headphones and headsets crafted for Xbox 360® and PS3™ game consoles and PC games. Turtle Beach’s Ear Force X41 wireless headset is Official Xbox Magazine’s “2009 Peripheral of the Year.” Turtle Beach, headquartered in Elmsford, New York, is a brand of Voyetra Turtle Beach, Inc., which has been at the forefront of music and audio technology for more than three decades and is recognized as a pioneer of today’s PC audio industry. Turtle Beach and Ear Force are registered trademarks of Voyetra Turtle Beach, Inc. Xbox 360 is a registered trademark of Microsoft, Corp. PlayStation is a registered trademark and PS3 is a trademark of Sony Computer Entertainment, Inc. Mac is a registered trademark of Apple, Inc. Dolby is a registered trademark of Dolby Laboratories. All other trademarks are property of their respective holders and are hereby acknowledged. Headquartered in Santa Monica, California, Activision Publishing, Inc. is a leading worldwide developer, publisher and distributor of interactive entertainment and leisure products. Activision maintains operations in the U.S., Canada, the United Kingdom, France, Germany, Ireland, Italy, Sweden, Spain, Norway, Denmark, the Netherlands, Australia, South Korea, China and the region of Taiwan. More information about Activision and its products can be found on the company’s website, www.activision.com.